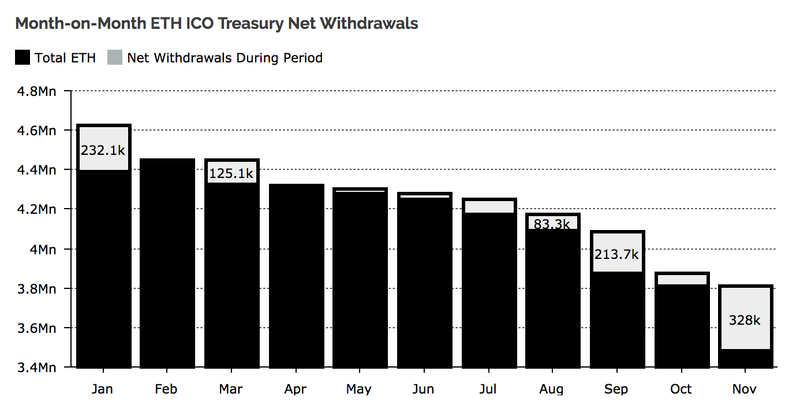 The recent bear market in cryptocurrencies, combined with ongoing regulatory headwinds, has left well-funded ICOs in need of liquidity. And while de-risking portfolios is likely a smart move for projects not intended to serve as investment vehicles, it is critical that large-volume trading — liquidating bags — be done responsibly so as to not adversely impact the entire ecosystem. Liquidating isn’t bad, and in many ways it’s good. But the coordinated, simultaneous sale of any single asset — be it Bitcoin or an ICO issuance or a stock — strips publicly disseminated order books, like those at exchanges, of willing buyers. This brings the public “best bid” down despite there having been no fundamental change in the value of the asset; and this short-term supply and demand dislocation wouldn’t be so bad if it weren’t for the pernicious effects of behavioral economics: as the public price starts to drop, weak-handed investors sell with it. Thus the herd pushes prices down even more, and the bear market reinforces itself. In order to avoid plunging crypto into a bear market for no reason at all, we need large-volume sellers like ICOs to engage in responsible selling, both in their own tokens as well as the majors. Our intention is to create a grassroots community effort to promote the responsible liquidation of digital assets to avoid a repeat of the past year. Because crypto is free, it cannot have the safeguards traditional assets enjoy. There are no trading halts, and the Fed doesn’t coddle the market like a proud parent. There is no uptick rule, and, so long as you’re not manipulating the market to your own advantage, you can tank prices with impunity. We collect data every 5 minutes on crypto liquidity conditions. Even in the most liquid cross — BTC/USD — a 100 BTC trade will move prices down by around 1%. Compound this across dozens of projects in need of liquidity selling many multiples of that, add in the psychological factors that scare unsophisticated investors to safety, and sprinkle in a futures expiry and a dash of BitMex liquidation, and you’ve got yourself a full-blown panic. If we’re not going to be a house of cards held up by thousands of inane rules, like public equities, we need to become our own community police. First things first: let’s not tank our own market. To that end, we’ll be providing a crash-course on responsible liquidation, alternative methods to protect against downward price pressures, and risk analysis. Finally, we’ll teach some trading kung fu as we get into the mechanics of order book layering, and let you in on some secrets used by unscrupulous traders to take advantage of large resting orders. This will take place at the NODE community space in San Francisco on December 6 (Eventbrite here).